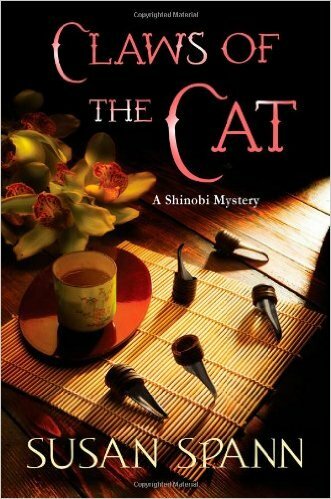 Interview with Susan Spann, Author of the Shinobi Mystery Series: Writing, Her Recent Travels to Japan, and Sea Animals | Oh, for the HOOK of a BOOK! 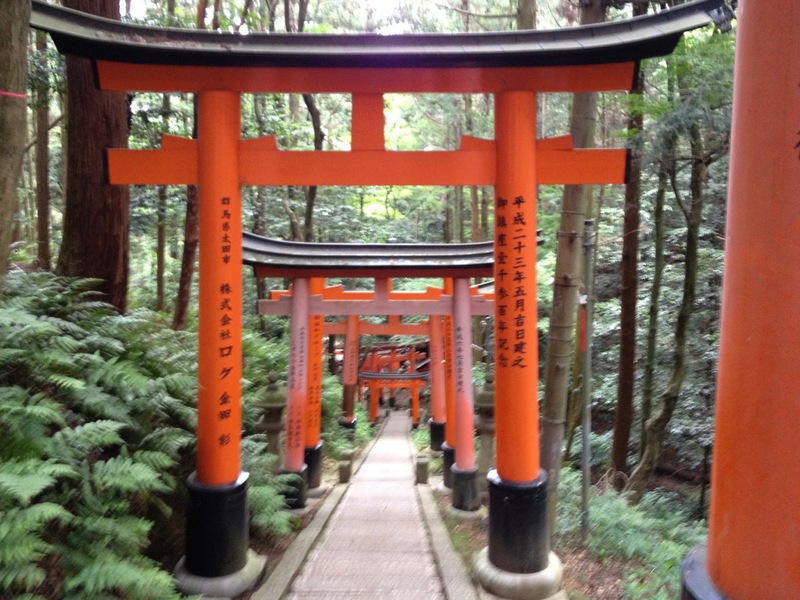 I have a wonderfully interesting interview with Susan Spann, author of the Shinobi mystery series, filled with all kinds of good information and beautiful photos of her trip to Japan. Join us in our fun discussion, located right after this intriguing cover of her third historical mystery, Flask of the Drunken Master, which is available July 14, 2015! HI, Susan, my friend! I know you’ve just swept back to California after a whirlwind trip to one of your favorite places to see and talk about—Japan! Thanks so much for taking the time to stop by here (I promised I wouldn’t make you get up at 4:30 a.m. to ride the bullet train, but it’s still a little journey across the U.S. I know)! I’m glad you made it safely home to California and from what I saw, you had a wonderful time? Susan: Thank you so much for inviting me to Hook of a Book! Japan was spectacular. I went to research my next few books, and came home with not only the research but a bunch of pictures, stories, and memories. Erin: Since you’ve graciously joined us here, let’s start by singing you Happy Birthday since your birthday was just July 6! I’ve baked you a traditional Japanese cake and have little tea cups to fill with tea…..ok, no, I didn’t, but I did bake you a more simple cake and we can have whatever your pleasure of drink is to start out. Come and sit down in my big library chairs and get comfy and I’ll get things brought out. What would you like to drink with your cake? I’ll be having some sun tea made with fresh mint leaves. 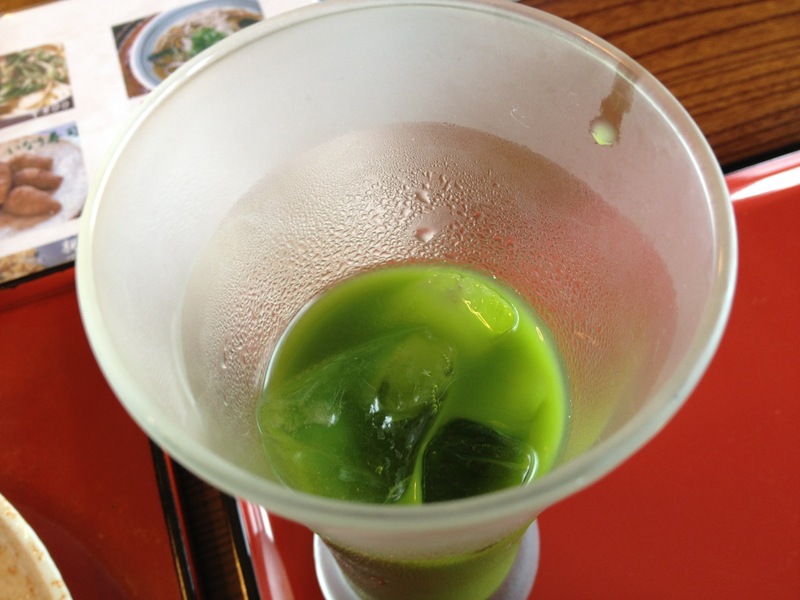 Susan: In Japan, I discovered a sweetened, iced matcha drink—in Japan, it’s “uji-shimizu,” though my husband calls it “frog in a glass.” Matcha is finely powdered green tea, the same kind used in traditional tea ceremonies, though in this case it’s mixed with finely ground sugar (and water) and iced. As you can see, it’s lovely with tea (but it does look a little like liquefied frog…). Erin: That sounds fun, but alas, how do I make it? For you, I’ll try! Now that’s we are settled with our drinks and cake, let’s talk more about you! Primarily of note is that your third Shinobi mystery, Flask of the Drunken Master, releases July 14 from Minotaur Books! I have loved every one of your mysteries so far, this one especially. I can feel your writing style and your characters growing stronger with each book. What do you feel is one thing that ties all three books together into such a strong series? Susan: Thank you so much. I’m delighted you like the books—nothing makes me happier than hearing someone else enjoys spending time with Hiro and Father Mateo (and me). I think it’s easier to tie the books together, even though the mysteries stand alone, is that I have a “series arc”—a larger story I’m telling “behind the scenes.” Although each book is a self-contained mystery, I’m also exploring the way Hiro and Father Mateo’s friendship grows and matures over time. Erin: I know, undoubtedly, that you are excited about releasing a third book. But can you share your thoughts and feelings about the progression of your work so far? For instance, do you still get excited for the same things now as you did for the first book? Does it all seem easier now, or more difficult? Susan: Some things are easier—for example, knowing how Hiro and Father Mateo will react to new situations. I know them better now, so I can anticipate (mostly) what they will do with each new challenge. However, it’s definitely harder to write without revealing the identity of the killers (or suspects) from previous books. I’m managing, though, because It bugs me when I discover a series by reading a later book, and the story ruins an earlier book in the series. I’m trying not to do that! Erin: You do a great amount of research for your novels, you can easily tell upon reading them. How did you do your research for books 1-3? What types of things do you research? As you continue on with the series, what research will you use of things you’ve discovered? Susan: Over the years, I’ve built a fairly extensive personal library of books on Japanese history, culture, architecture, and even niche areas like moneylenders (a topic that comes up in Flask) and theater. 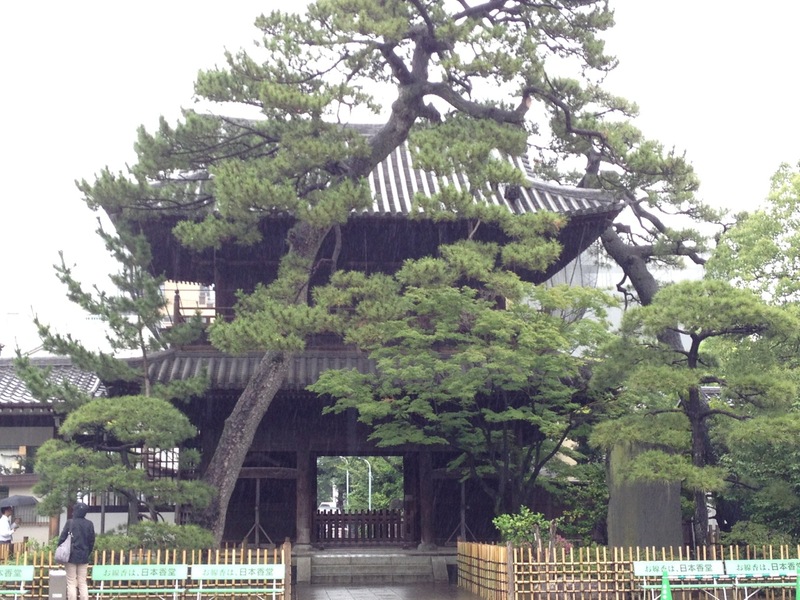 I know a historian and a tour guide who live in Kyoto, and they help me too. Finally, I do some Internet research, but I’m leery of trusting online information unless I can verify it with at least two other sources. Fortunately, I really love research. Erin: That’s wonderful! I love research too! As much as that I love travel. 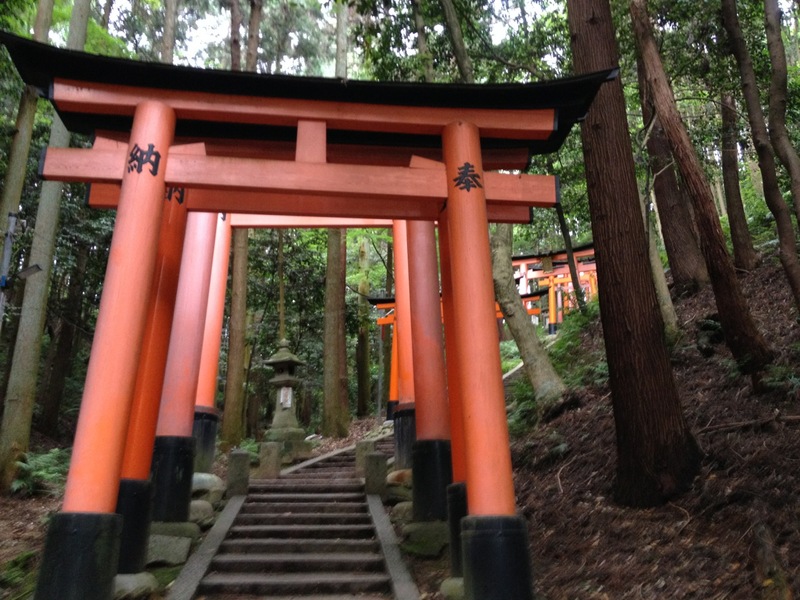 Can you tell us more about the various things you saw on your trip to Japan? Any highlights or moments that spoke to you personally and why? What are your favorite memories? What are the favorite places you visited? Susan: How much time do we have? I could talk about this for days! One of my favorite parts of the trip was the night we spent on Miyajima, an island off the coast of Hiroshima. Itsukushima Shrine, which sits on the island, is the setting for one of my upcoming novels, and we spent the night at a ryokan (a traditional Japanese inn) so I could spend two full days on the island. 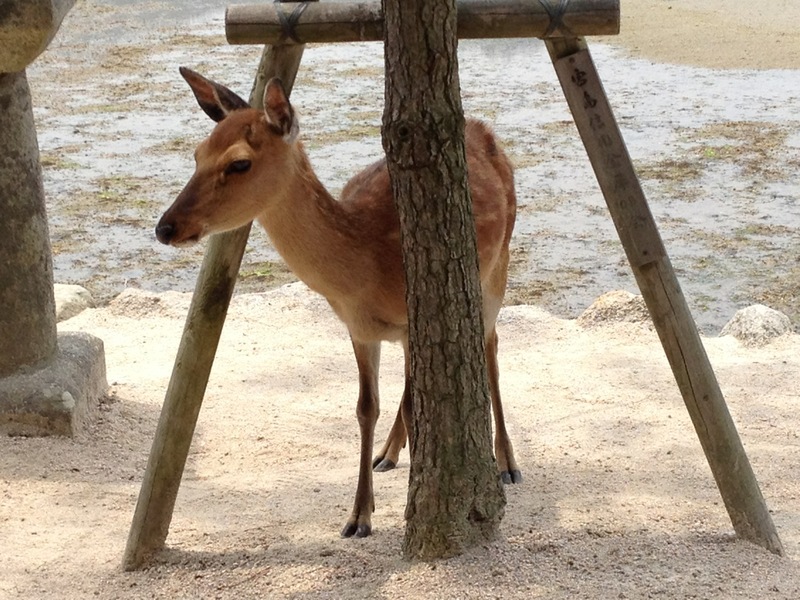 Between the breathtaking scenery, friendly deer (I’d always wanted to touch a deer…) and amazing ryokan experience, it ranks in my top life experiences. I could go on and on – it was truly an amazing journey. Erin: Amazing! Staying on the island sounds amazing, as does visiting the temple. I love the story of the 49 Ronin! In Flask of the Drunken Master I loved how you utilized a medieval Kyoto brewery. That was so unique and it brought us more into the meat of the culture of this time and place. Did you think about showing any differences between the Shogun’s family and palace/grounds and the more common people of the village, the merchants or was that happenstance of the plot? Susan: I’m thrilled that you picked up on the fact that this novel brought the reader to a different part of the culture. One of my goals—in addition to telling fun mystery stories—is taking readers on a journey through the unique parts of Japanese culture that many people don’t realize existed. Since Blade of the Samurai took a look at the shogun and the samurai culture, I wanted Flask to show how the commoners lived. Erin: You have two strong male characters in your protagonist Hiro and his sidekick Father Mateo. However, I like how you portray the women in this novel as well. I was especially surprised at the end and I really loved what you did with it. Can you talk about why and how you chose your specific male and female characters in the novels? How do you find a balance with the genders? Susan: I try to pick characters who are historically accurate but also unexpected. Yoshiko, the female samurai warrior, is a good example. She made an appearance in Claws of the Cat, but I always planned to bring her back in a larger role in Flask. Most people don’t realize that women from the samurai class could become warriors—it was rare, but it happened, and I love that the novels let me give those unusual women a voice. Susan: Thank you! Before I start writing each new novel, I write a journal entry in the “voice” and from the perspective of each new secondary character (including the killer(s)). I try to get to know them beyond their “expected role” in the novel, because it helps me remember that characters seem more real, and better rounded, if the author takes the time to develop them rather than treating them only as pawns to move around on the page. Erin: I think that Flask of the Drunken Master is my favorite so far. Are you working on a fourth book? How many do you hope to write in this series? Susan: My agent currently has the manuscript for book 4—currently titled Mask of the Fallen—which involves the murder of an actor’s daughter. It’s also the last book set in Kyoto—after that, Hiro and Father Mateo will “hit the road” for a group of novels set in other parts of Japan, including the ninja stronghold at Iga. My current outline will allow at least 15 more books in the series—and I hope I’ll have the chance to write them all! Erin: Wow, 15 would be amazing! I’d need to devote one shelf just to you! Wonderful to hear. Have you thought about writing of other times and places? If so, where, what, when? Susan: I just completed the first draft of a side project—also a mystery—set in Japan, but several centuries earlier than the Shinobi books. I’m really excited about it, and we’ll see where it goes. I’ve always loved history, myth, and legends from all corners of the world, so although I’m sticking with Japan for the moment, I could see myself “traveling” to Denmark in the Viking age, to Genghis Khan’s Mongolia, or even to South America and Africa, if the right story came along. Erin: Do you think in any of your next book you might include more sea or animal life? I know have a penchant for ocean life. The seahorses you raise are so beautiful and special. I’d love to see Hiro take on a more serious case along the sea. Would that be doable with his locale and time? Susan: I love the ocean, and I do have at least one book in the Shinobi series set in an island location. I’ve also considered a book for children with photos of my seahorses—they’re a special passion of mine, and I love to share their photos and stories. Erin: Speaking of sea horses, how difficult are they to care for? What draws you to them? What fascinates you? 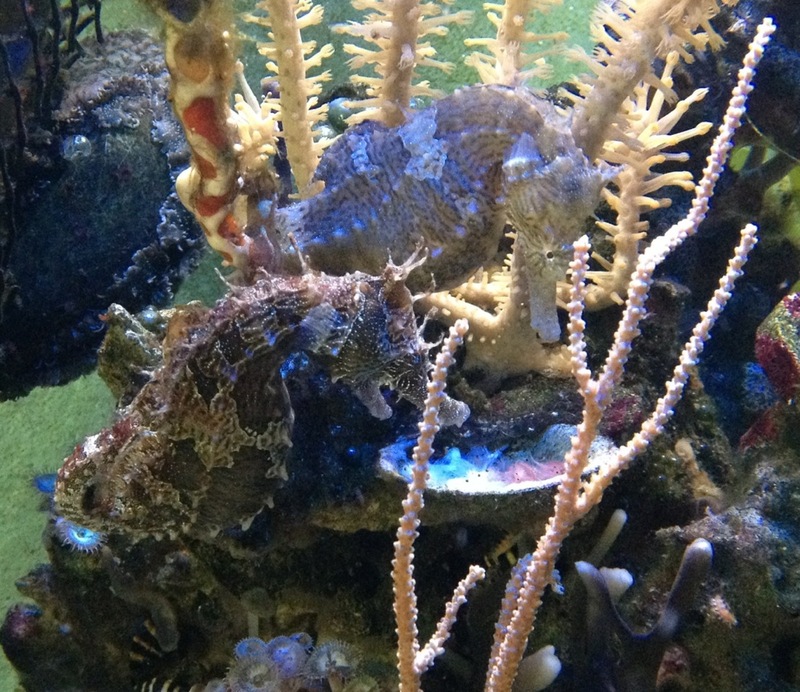 Susan: I’ve always loved horses, and dragons, and seahorses seem like a hybrid of the two. They’re mysterious and exotic—and they have a lot more personality than I realized before I started keeping them. The ones I have are definitely individuals, with different likes, dislikes, and characteristics. My largest female, Kirin, is the alpha, and she can be a bit of a bully at feeding time. Little Magellan, who has a disability that stunted his growth, is the friendliest of the bunch, and loves to hitch himself on the other seahorses’ tails or bodies because it makes him feel secure. I’ve heard it said that on a difficulty scale of 1 to 10, seahorses are a 12. That’s not quite true, in my experience, but they definitely qualify as “special needs pets.” For example, they have no true stomach, so they have to eat at least twice a day, every day, or they can get sick and die. On the other hand, if you take the time to feed them and clean the aquarium once a week, and make sure all the other species in the tank are compatible, they’re not really that difficult to keep. 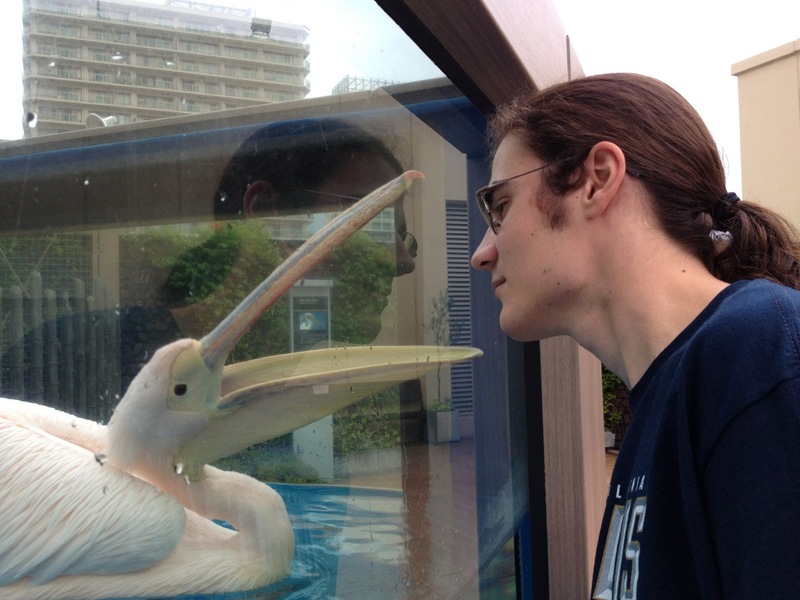 Erin: I saw that you went to an aquarium when you arrived in Japan. How did it differ from U.S. aquariums? What types of things might you find there? Is the sea very accessible to the Japanese now in modern times and do they enjoy it? Susan: The Japanese people have great respect for the ocean—historically, they have depended upon the sea for food in ways non-island nations don’t have to do. I ended up visiting both the Kyoto Aquarium and Tokyo’s Sunshine Aquarium while I was in Japan, and both are lovely, clean, modern aquariums with an emphasis on visitor education. One of the neatest things I saw was the Deep Sea Sunfish—a very rare, peaceful species that’s difficult to keep in a captive setting. 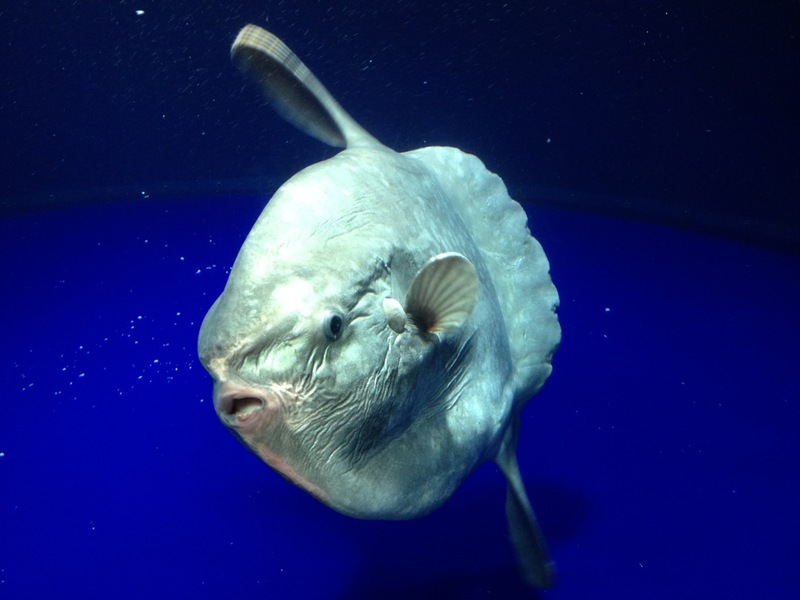 I’d seen documentaries about them, but never seen one in person, and I was thrilled to see the lovely, healthy specimen at Tokyo’s Sunshine Aquarium. Erin: That’s amazing!! How amazing to be able to see and learn about the sunfish and other species! Being to Japan recently, and also with your interest in the country and its history, what do you wish more Americans knew about Japan or the Japanese? What are the things that stand out to you that make it/them unique? What draws you to learning about their culture? Susan: One thing I’d recommend to all Americans—to all people, really—is taking the opportunity to experience other cultures “on their terms.” In Japan, this might mean spending a night in a traditional ryokan (a Japanese inn), where you eat traditional food, sleep on a futon on the floor instead of in a Western bed, and go without the Internet for a day. The richest experiences I’ve had in foreign countries always came when I stopped trying to fit the cultures into my own expectations or preconceptions, and opened myself to experiencing the beauty the culture and people had to offer. Erin: I’ve heard it’s a very beautiful place, outside of the cities. What natural areas did you enjoy? What types of flowers might someone find there? Was there truly serenity as I picture? The trip was one amazing experience after another. Many of the flowers would be familiar to Americans, because we’ve imported so many of the Japanese favorites here. 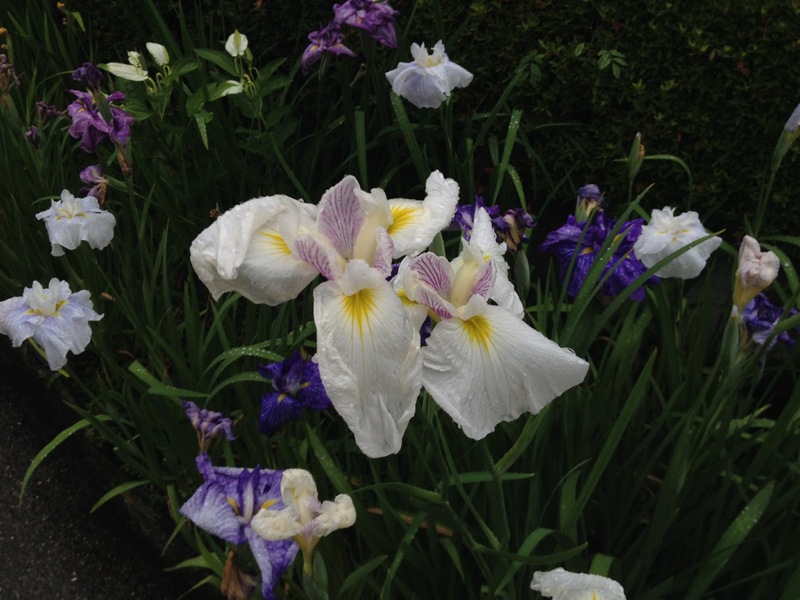 Irises, orchids, and flowering trees (like cherry trees) are all very common there. Erin: Beautiful! I can only imagine that your trip will make your writing even better in book four! How do you manage to write a book a year as well as keep up with your law practice and your #PubLaw assistance for authors? You are a very busy woman. How do you stay organized enough to get writing done so quickly? More seriously – I tend to practice law on weekday mornings, and write in the afternoons, evenings, and on weekends. It was harder before my son left for college. I miss him when he’s away, but I have to admit, it’s helped my writing time! As far as organization, I’m a big list-maker, and I use both an online calendar and a physical day-planner to help keep track of my obligations and deadlines. Erin: Are you a plotter with an outline or a fly by the seat of your pants writer? Do all mystery authors somehow have to be plotters due to creating twists and turns that need to tie up nicely? Susan: I’m a “plantser”—meaning, I write an outline for every book (two, actually—one for the onstage action and one to keep track of what the characters are doing “offstage” at any given point) but once I start drafting, I let the characters leave the outline if they want to. (They usually do.) The outline ends up being more of a guideline than a mandate. It helps me to know “whodunit” and how the investigation will unfold before I start writing, but once I start drafting, all bets are off. I do know some mystery authors who write entirely from the seat of their pants, not even knowing who the killer is before they start. Their skill amazes me—I need to know how the story unfolds before I put words on the page. Erin: I know you like martial arts, knife throwing, etc. You’re probably a female ninja (maybe THAT’S how you get it all done). But what do you like to read, either for pleasure and/or as a way to perfect your own writing? Susan: I’m an avid reader, in almost all genres. I try to read at least two books a week, though when I’m under a deadline I sometimes only manage one. I read a lot of nonfiction—I’m a narrative nonfiction junkie, especially when it comes to books about mountain climbing or other outdoor adventures. I also love science fiction, fantasy, middle grade and young adult fiction, and—for obvious reasons—mystery and thriller. I just finished re-reading Ernest Cline’s fabulous READY PLAYER ONE, and Delilah Dawson’s HIT was one of the biggest “hits” of this summer for me. 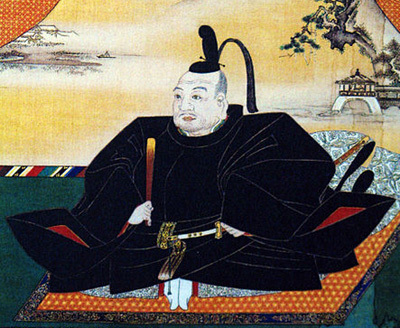 Erin: What are some of your favorite REAL people from Japanese history? If you could meet three for sushi who would they be? and Matsuo Basho, a seventeenth-century Japanese poet whose haiku are still famous and beloved in Japan. I love his work. 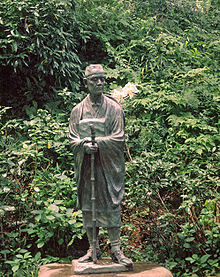 Above: A statue of Bashō in Hiraizumi, Iwate. Wikipedia. Erin: What’s your favorite type of Asian food? What new food did you try in Japan (I know you did so, I know you’re a person who would try something new wherever she went)? What do you like and don’t like? Susan: I’m actually allergic to fish, so I didn’t try any traditional sushi! However, I did try a lot of new foods in Japan. Wherever possible, I passed up the familiar options and went for something unusual, because I wanted as wide a range of experiences as possible. 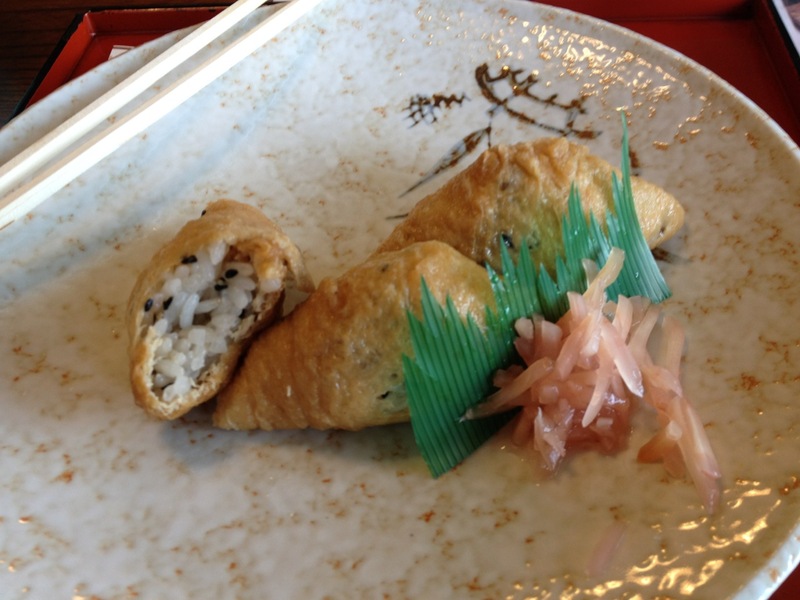 My favorite “new” food is Inari Sushi (aka “Inarizushi”), which I ate in a teahouse high on the slopes of Mount Inari. The dish is made by wrapping aburaage (a fried tofu product soaked in a sweet solution to soften it) around a mixture of black sesame and sushi rice. It’s absolutely delicious—and I completely understand why legend says it’s a favorite of Inari’s fox messengers. Erin: Moving away from focusing on Japan, I’ve been wondering….who are your female idols, role models, or women now or in history, that carry the ideals that you feel are important to our gender? Susan: I have great respect for women who choose to live a life that is true to themselves and their dreams or callings. That includes both famous women like Joan of Arc, and also the “normal” women whose actions may never make the news, but whose strength inspires the people who know them. My mother’s love and dedication to her family and her profession continue to inspire me, and she will always be one of my heroes, too. I think one reason I strive to create female characters who act with strength, even from a place of (actual or perceived) weakness is that I believe honor and character are traits that don’t belong only to the famous and powerful—and I admire them equally in women who act on the global, historical stage and those who act within the family sphere. Erin: That’s wonderfully stated, Susan. What is something you want to try to do that you haven’t yet? What are five things on your bucket list? Susan: Climbing Mt. Fuji (I haven’t yet been able to work it into a trip, but I promised myself I’ll do it next time! ); returning to Ryokan Iwaso on Miyajima for a week in the autumn, to watch the maple leaves change; a horseback trip through the Australian Outback; trekking to the base of Mt. Everest; and continuing to write books for as long as I’m breathing! Erin: I could probably ask you a million more questions, Susan, but I’ll stop for now. Let’s talk about recent books we’ve read and I’ll pour more drinks and we can relax. Would you like more cake? 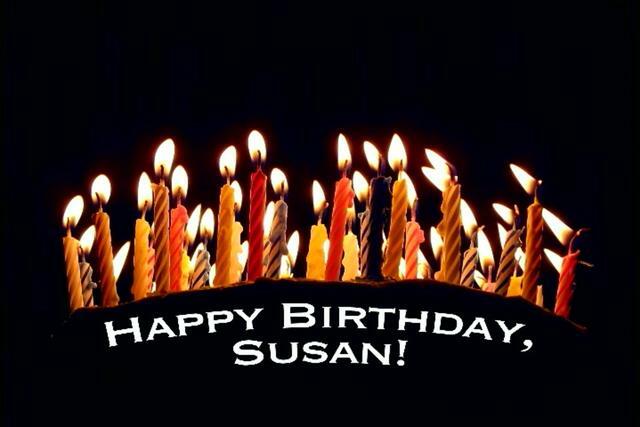 Susan: There’s always room for more cake! In addition to the books I mentioned earlier, I’ve recently finished Kerry Schafer’s THE NOTHING (the fantastic conclusion to her wonderful fantasy series, THE BOOKS OF THE BETWEEN), RODIN’s LOVER by Heather Webb, and THE THIEF by Fuminori Nakamura; I’ll be traveling a lot on book tour this summer, and I’ve already got my reading list: AFE Smith’s new fantasy novel DARKHAVEN, Douglas Preston’s THE CODEX, and a middle grade retelling of the Snow Queen called OPHELIA AND THE MARVELOUS BOY. Erin: I’ve read Rodin’s Lover by Heather which tore me up inside in all the best ways and also you’ll enjoy Ophelia and the Marvelous Boy! I’ll have to check out the rest myself! Thank you so much for chatting with me today. I’m so happy to know you, Susan. Thanks for being such a great role model and friend. Best of luck with Flask of the Drunken Master and with new writing! 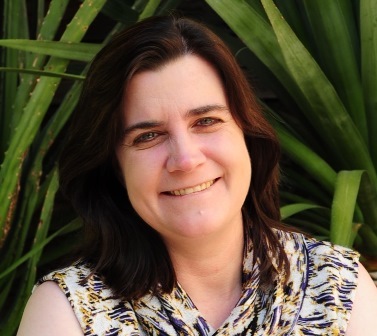 Susan: Thank you so much for having me – I’m delighted that we’ve connected and it’s been great fun to share your blog today! August 1565: When a rival artisan turns up dead outside Ginjiro’s brewery, and all the evidence implicates the brewer, master ninja Hiro Hattori and Portuguese Jesuit Father Mateo must find the killer before the magistrate executes Ginjiro and seizes the brewery, leaving his wife and daughter destitute. A missing merchant, a vicious debt collector, and a female moneylender join Ginjiro and the victim’s spendthrift son on the suspect list. But with Kyoto on alert in the wake of the shogun’s recent death, a rival shinobi on the prowl, and samurai threatening Hiro and Father Mateo at every turn, Ginjiro’s life is not the only one in danger. Will Hiro and Father Mateo unravel the clues in time to save Ginjiro’s life, or will the shadows gathering over Kyoto consume the detectives as well as the brewer? 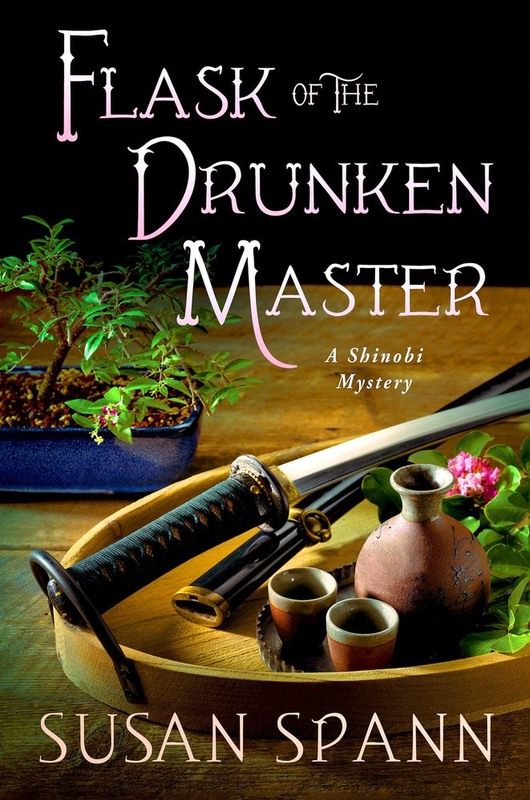 Flask of the Drunken Master is the latest entry in Susan Spann’s thrilling 16th century Japanese mystery series, featuring ninja detective Hiro Hattori and Jesuit Father Mateo. Susan Spann acquired her love of books and reading during her preschool days in Santa Monica, California. As a child she read everything from National Geographic to Agatha Christie. In high school, she once turned a short-story assignment into a full-length fantasy novel (which, fortunately, will never see the light of day). A yearning to experience different cultures sent Susan to Tufts University in Boston, where she immersed herself in the history and culture of China and Japan. After earning an undergraduate degree in Asian Studies, Susan diverted to law school. She returned to California to practice law, where her continuing love of books has led her to specialize in intellectual property, business and publishing contracts. 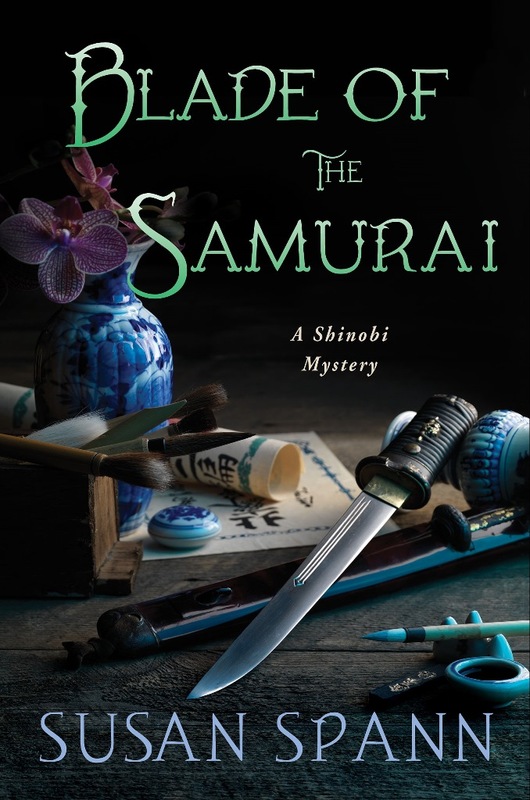 Susan’s interest in Japanese history, martial arts, and mystery inspired her to write the Shinobi Mystery series featuring Hiro Hattori, a sixteenth-century ninja who brings murderers to justice with the help of Father Mateo, a Portuguese Jesuit priest. When not writing or representing clients, Susan enjoys traditional archery, martial arts, horseback riding, online gaming, and raising seahorses and rare corals in her highly distracting marine aquarium. Susan lives in Sacramento with her husband, son, three cats, one bird, and a multitude of assorted aquatic creatures. For more information please visit Susan Spann’s website and blog. You can also find her on Facebook, Twitter, and Goodreads. Thank you, Cat! I know you love learning about other cultures as I do! Thank you so much for the wonderful interview questions! This was such fun, and I appreciate the chance to stop by for a virtual chat! Also, really pleased to see other possibilities (for a year or two I’ve thinking about Vikings in Denmark, too!) 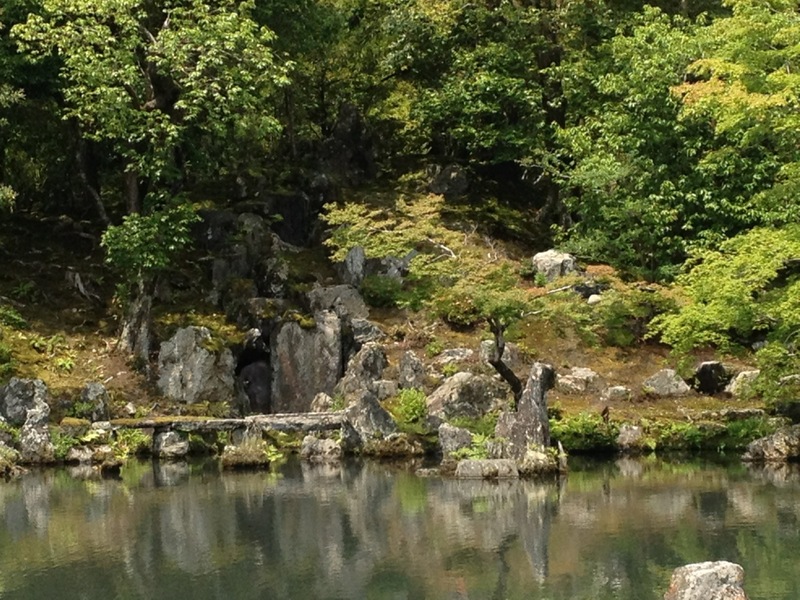 and I really, really want to do that week at the ryokan in autumn. Ryokan Iwaso is top of my list for “places I will go back and spend a week” – I’m hoping to get back next year, but if not, the year after — and I’m definitely going in autumn, to watch the leaves. Honestly, though? It’s amazing at any time of year. Also, the kaiseki dinner (each night you stay, they serve it, traditional-style, as part of the accommodation) was to DIE FOR. Top-three meals of my entire life, for certain, and probably #1.